Your Greater Baltimore Area Owner/Operator is Ken Demski. 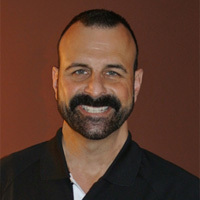 Ken is a lifelong resident of Baltimore County and graduate of Perry Hall High School and Towson University. Prior to opening his franchise in the Spring of 2013, Ken was an accomplished manager at several local movie theatre complexes and retail automobile sales management at Saturn and Toyota dealerships. Ken believes that his combined skills in red carpet treatment, customer focused sales culture and industry leading quality will result in an unparalleled experience for all of his clients. “Bin There Dump That is a system that is clean, easy and quick. Our trucks fit in tight spaces and we protect the driveway. The name is fun and the brand is committed to exceptional customer service," according to Ken. Ken's community involvement includes fundraising for the American Cancer Society's "Making Strides Against Breast Cancer" and the Kennedy Kriger Institute for children with developmental disorders such as autism, cerebral palsy and Down Syndrome. Ken also supports regional animal rescue efforts at Thankful Paws, is the proud adopted care-giver to an Old English Sheepdog named Clyde and Golden Retriever named Berkeley along with a tropical parrot named Forrest. I have lived in Baltimore Maryland for many years and have background in the dumpster rental business. I have always had the vision of being my own boss and running my own company but just didn't know where to start. I came across Bin There Dump That and thought what a great concept. I got in touch with one of the Bin There Dump That Franchise specialists and they provided me with all the pertinent information I needed to know about becoming my own boss and operating my Bin There Dump That Baltimore location. Having some experience in the dumpster rental industry I thought this was right up my alley. I spoke with a few of the other existing Bin There Dump That dealers in other cities and states and they had nothing but good things to say about the Bin There Dump That franchise and that lead me to now be the Baltimore Bin There Dump That franchise dealer.